Nanaimo Blues Festival — CHLY 101.7FM — Radio Malaspina, the Campus Community Radio Station of VIU Students & Nanaimo BC Vancouver Island. This August, come down to the event of the summer - the Nanaimo Blues Festival. This four day event will be held on the scenic waterfront at Maffeo Sutton Park from Thursday, August 23rd to Sunday, August 26th. There will be food trucks, an artisan village, and a fully open liquor serving area so you can walk around the event with your drink. Early bird weekend passes and individual day passes are available online. If you are a sustaining member, you have the opportunity to be entered into a draw to win one of six pairs of weekend passes (valued at $99/ticket). Please email us with your phone number to get entered into the draw! The draw for tickets will be Wednesday, August 15th at 8:30pm on In The Red. If you are not a sustaining member yet and would like to be entered into the draw, you may become a sustaining member here: chly.ca/donate. This is not an event to miss. Bring the family down to Maffeo Sutton Park for the 2018 Nanaimo Blues Festival from August 23-26. 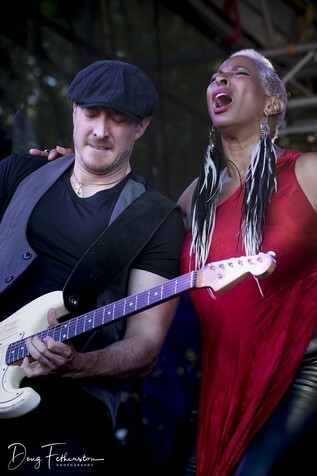 Visit nanaimobluesfestival.com for more information.